Playing a 140 piece orchestra on the keyboard has never been easier and more rewarding. 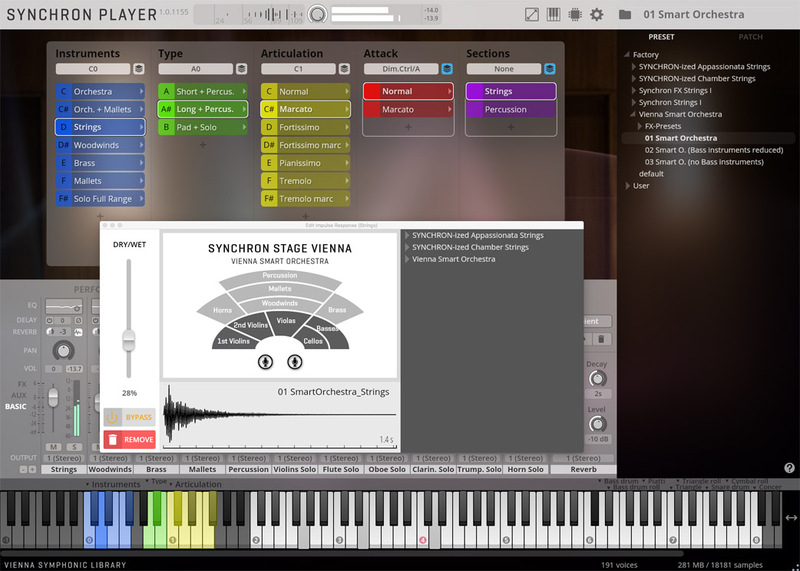 The Vienna Smart Orchestra brings the power of a large symphonic orchestra right to your fingertips, perfectly balanced, and spread out over the entire keyboard. The large sections of strings, woodwinds, brass, mallets, drums and percussion can be played all at once or separately. You can also play solo instruments such as flute, oboe or trumpet with your right hand over the accompanying orchestra played with your left hand. Create large orchestrations on the fly, without worrying about balancing and finetuning the instrumentation! 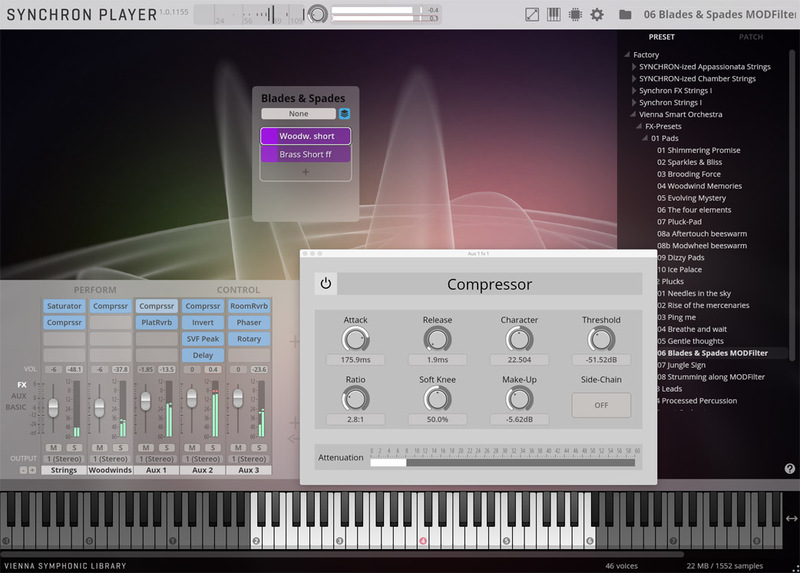 Get creative with experimental FX presets for hybrid soundscapes and organic textures. This lean and resourcesaving package delivers a perfectly balanced orchestra thats fun to play, and at an irresistible price. 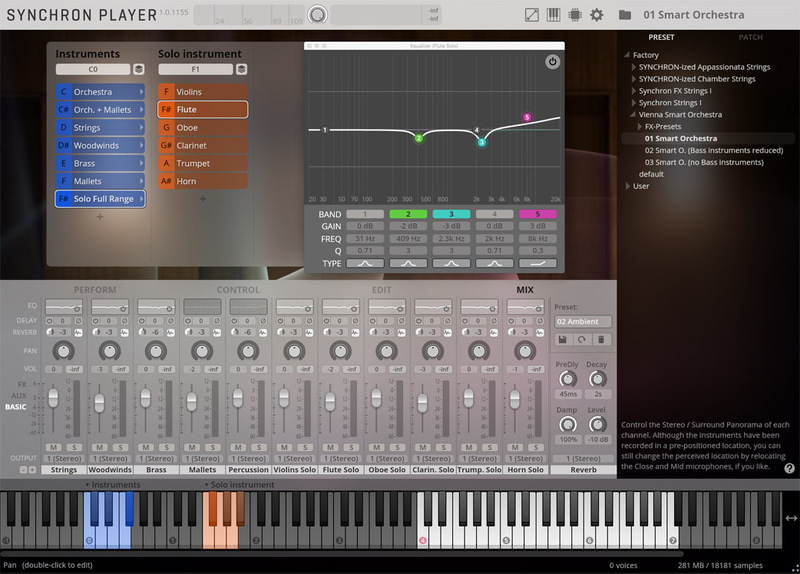 With preconfigured presets, you can either play the entire orchestra with full dynamics on your keyboard, adjust the balance of the main sections (strings, woodwinds, brass, mallets, drums and percussion) in the mixer, or play these sections separately. You may also add selected solo instruments, such as flute, oboe, clarinet, French horn, trumpet or an ensemble of first violins over the accompanying ensemble played with your left hand. Customized layers such as subtle pianissimo string pads or fortissimo brass breakouts make it easy to find the the right tone in a split second. 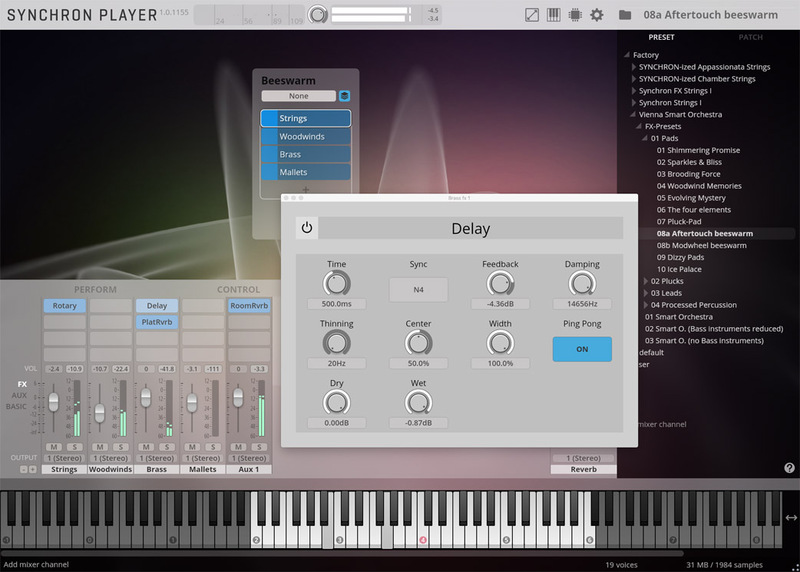 The "marcato control" feature enables you to play everything from smooth legato lines to aggressive ostinatos in just one patch by simply moving a preconfigured fader. All sections and solo instruments are expertly placed at Synchron Stage Vienna, one of the bestsounding scoring stages on the planet, using Vienna MIR Pro technology integrated right into the multichannel mixer of the Vienna Synchron Player.